Creator: Montgomery County (Ala.). Sheriff's Dept. 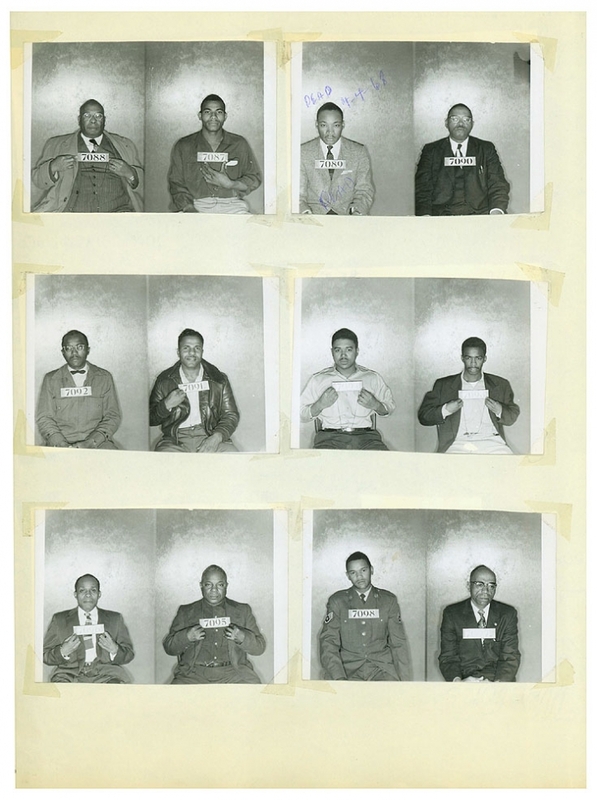 Scanned image from one of the Montgomery County, Alabama Sheriff's Department's mug shot volumes showing Martin Luther King, Jr. and other African American men arrested on February 21, 1956 for their leadership during the Montgomery Bus Boycott. The books of mug shots were divided by race and gender.